For those of you that may not know, this topic is near and dear to my heart. I’ve been diagnosed with lupus myself, as well as some of the other autoimmune diseases. It’s important to identify and treat these diseases as soon as possible in order to prevent damage to your body. In most cases, people spend years and see several different doctors trying to find an answer to explain what’s wrong with them. Please make yourself a priority. Don’t give up. Keep looking and fighting for yourself. It’s important. 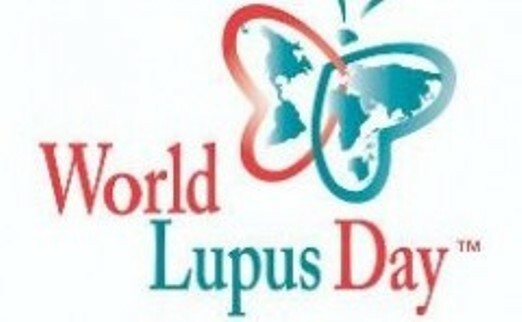 Today has been designated as World Lupus Day. It’s important that this autoimmune disease be recognized and discussed. It’s important to recognize the symptoms and to fight for a diagnosis. The longer you’re undiagnosed, the more damage can occur to your body. What is lupus? It’s a chronic autoimmune disease that can damage any part of your body. Something goes wrong with your immune system and, instead of fighting off viruses, germs, and bacteria (like it’s supposed to do); it fights and destroys your healthy tissue. This causes inflammation, pain, and damage to various parts of your body. The Lupus Foundation of America estimates that there are currently 1.5 million Americans that have some form of lupus. While this is a widespread disease, awareness of it is way behind many other diseases. A recent UCLA study found that lupus is among the leading causes of death in young women between 5 and 64 years of age. Often, children and teens are among those most likely to suffer the more severe and life-threatening consequences of the disease. Currently, only 73% of Americans between 18 and 34 are aware of lupus and most know little about it. This is upsetting because this is the age group that is at the greatest risk of developing lupus. It affects mostly women of child-bearing age. It’s sometimes difficult to diagnose lupus as it is often called “the great imitator” due to confusion of symptoms with many other things including fibromyalgia, diabetes, rheumatoid arthritis, thyroid disease, Lyme disease, and many more. It is important to be diagnosed as it affects many different parts of your body and can cause significant damage. Lupus can range from mild to life-threatening. Some more serious consequences can be attributed to lupus both directly and indirectly (through permanent damage due to inflammation, treatment drugs, etc.). Some of these can include things such as infection, heart attacks, strokes, kidney failure, osteoporosis, and fibromyalgia. Infections, cardiac conditions, and lupus itself are the 3 top causes of death in lupus patients. 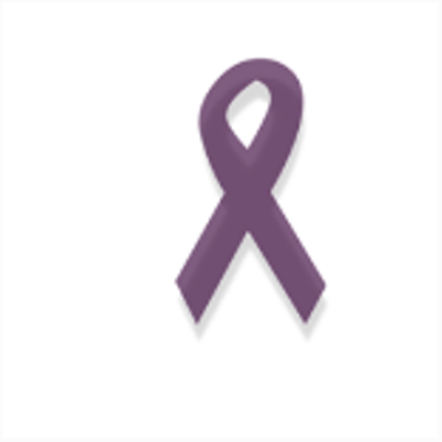 It is imperative to identify, monitor, and treat all conditions with a diagnosis of lupus. Rarely does lupus come alone. Once diagnosed with this autoimmune disease, you are far more likely to develop one or more others. Some of these may include inflammatory arthritis, connective tissue disease, scleroderma, Sjogren’s syndrome, vaculitis, Rheumatoid arthritis, eye problems such as uveitis, Raynaud’s, peripheral neuropathy, and blood count issues. These are just some of the others to look for. This is something to be aware of and follow up with your physician to ensure diagnosis and treatment for each condition. Please take time and learn a bit more about Lupus. It’s important to learn the facts and to bring any unexplained symptoms to your doctor’s attention. I’d like to talk about something close to my heart this month. As some of my readers are aware, I live with a few autoimmune diseases, as do many other people. Most of these diseases are not easily diagnosed and they are not well-known to the majority of people. I think most of us have heard the name lupus, but don’t know too much more than that. This is one reason that it is so critically underfunded. We need to raise awareness of the symptoms so that more people are diagnosed earlier and are able to seek medical help. I’d like to have more of us become aware of the impact that lupus and other autoimmune diseases can have on our friends, our family, and our co-workers and how you can help to support them. This is why I’d like to devote some of my posts this month to the issue. You will find these (and previously posted) articles under the category of “Chronic Illness”. There is no cure for lupus. Many of the medications that are being used to treat the symptoms create significant problems in their own right. We need awareness and support to find a cure and better treatment options. By posting a few informational articles, I’m hoping to increase awareness, to inspire support, and to raise interest in the subject. I am fully aware that this is just one of many causes that we’re all provided information on and we certainly can’t support everything. In addition to lupus and others, I always support the Juvenile Diabetes Research Foundation and the American Heart Association for personal reasons. It is my hope that you will learn more about lupus and autoimmune disease in order to provide support as well as to help increase awareness. If you read any of the literature and would like to send me a personal question or comment, please contact me from the site (top right corner/contact me) or email me directly at debsordinarylife@gmail.com. I always love hearing from you and appreciate the comments that you post! As a person with some health issues, I would really like to share some insights into the value of taking care of yourself. Believe me, I completely understand that daily life and obligations can so easily take over our time and energy that it’s easy to put our health (both physical and emotional) on the back burner. Take it from someone who has learned the hard way, it’s the one thing that you cannot undo. When I was younger, I could do anything at all! I was invincible. I was married, had a job, had kids, had a 2nd job, took care of the house, kids’ school and sport activities, all the things that we do and take for granted. What was the one thing that I neglected to do? Yep, take care of myself in the process. When I was younger, not as much emphasis was placed on physical activity or good-for-you foods, and we certainly didn’t make time for mental health (yoga, meditation, stress relief).